If you choose your wardrobe upon what others might think of you, you are living for man’s approval. If you choose not to attend a certain leadership/ministry conference because of what some might think of you, you are living for man’s approval. If you choose not to post a helpful article or quote online that you just read due to the name of the author and what others might think of you, you are living for man’s approval. If you choose not to make ministry changes in your church due to what fellow brethren might think, you are living for man’s approval. If you choose to sidestep certain topics in your preaching ministry, you are living for man’s approval. 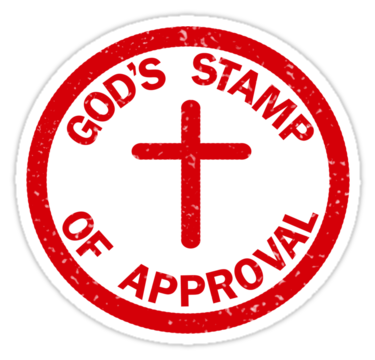 If you choose to elevate preferences above convictions, you are living for man’s approval. In Spirit, Soul, & Body – part 1, we looked at the idea of balance and order. Balanced lives are what many of us strive for. And although that is the goal many of us have, we don’t even know (or realize) that we are triune beings. That is, we are comprised of spirit, soul, and body (see part 1 in this series). Without that knowledge, we lead imbalanced and far too often, frustrated lives. Now, remember how I stated at the start of the series how important order is? It is just as important in this verse. God states everything with a purpose and HOW He states it is with a purpose. Spirit…soul…body – this order shows me an order of importance. Perhaps you are thinking to yourself, “Does that mean my body is not important?” No, that is not what I am saying at all; what I am saying though is that as we strive to be blameless in these areas, we ought to be balanced in the order God has placed emphasis on. One thing that we humans struggle to attain is a balance in life. All too often, we tilt way too much in one direction. And because of this, it throws us off – we are not able to move along in our life the way God intended for us to move along. We move along like a bicycle that has a bent tire…it circles fine until that part of the tire has to come around and go through the bike forks. There is a constant “thump, thump, thump” as the bent part hits the forks. Why is that? Because the tire is out of balance…it is bent in an area. And when we are out of balance, our entire life, yea, our spirituality continues to go thump, thump, thump! May I submit to you an image? It is probably an image you are quite familiar with. It is part of the world-renowned drawing by Leonardo da Vinci called the Vitruvian Man. It was reportedly drawn in the year 1487. The drawing and text are sometimes called the Canon of Proportions or, less often, Proportions of Man. There is something special about mornings…okay, maybe not mornings in general, but “morning time.” What am I saying? Morning time is the best time to set the course for one’s day. It is no secret that the most successful people (in any endeavor) are people who are up early and spending time on important issues early in their day (See recent story on Business Insider). Now, when I say “morning time,” I am not referring to a specific time of the day. I am referring to the first part of your day. For thousands of years, “morning time” was traditionally the early part of the morning. With the advent of the incandescent bulb, many people have had their schedules changed drastically. If you work a third shift, your “morning time” would be the first time of your day whenever you wake up. Hello there! I would like to begin this blog with the definition of the word, spiritual. Although many deny it, we live in a spiritual world. The Word of God states that “God is a spirit,” (Jn. 4:24) and mankind was created in the image of God (Gen. 1:27). I plan on exploring spirituality throughout this blog. While exploring spiritual things, I also want the subjects shared to be relevant to your life. The word relevant means “pertinent or applicable.” So much of the subject of spirituality is not applicable to people’s lives. My desire is for these postings to be applicable to your life.